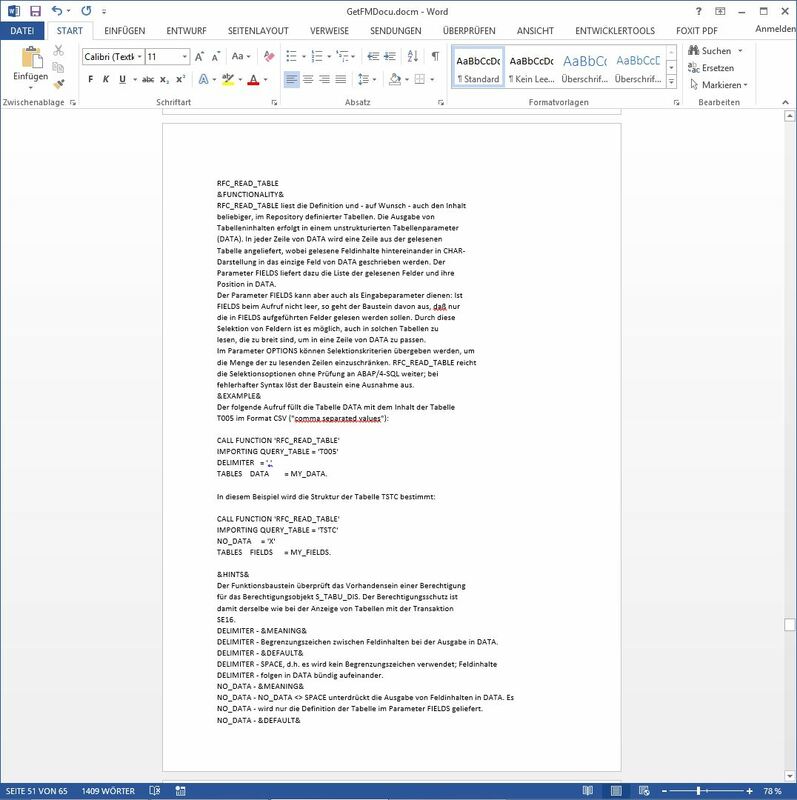 Here an example how to get the documentation from remote-enabled function modules and to write it in a Word document. The solution is coded in VBA in Microsoft Word application and uses the COM Connector (CCo). It is possible to use a pattern for the function modules name (FMPattern), on this way you can create a documentation for a group of function modules, e.g. a package, easily. If you disable the FMODE selection criterion you can use this solution for any function module. '- remote-enabled function modules with a specific name pattern. '- and writes this information to the Word document. Selection.TypeText Parameter & " - "
Here an example from RFC_READ_TABLE in Word.